In 1971, The New York Times and The Washington Post were involved in a legal battle with President Richard Nixon and his administration. The publications claimed the First Amendment protected their rights to publish the classified Pentagon Papers, whereas Nixon's administration argued that "further publication of information of this character will cause irreparable injury to the defense interests of the United States"
The Supreme Court sided with the newspapers. Supreme Court Justice Hugo Black stressed the importance of the free press in his concurrence. "In the First Amendment, the Founding Fathers gave the free press the protection it must have to fulfill its essential role in our democracy," he wrote. "The press was to serve the governed, not the governors." The news media has historically been referred to as the fourth estate — an unofficial, but essential pillar to our political system. Many presidents and political leaders have recognized their importance. In a 1961 speech, John F. Kennedy explained the crucial and sometimes combative role that the media played in American society. "[The press is] the only business in America specifically protected by the Constitution," Kennedy explained. "Not primarily to amuse and entertain, not to emphasize the trivial and the sentimental, not to simply 'give the public what it wants' — but to inform, to arouse, to reflect, to state our dangers and our opportunities, to indicate our crises and our choices, to lead, mold, educate and sometimes even anger public opinion." Today, the national media may receive much of the attention — whether positively or negatively — but local media and local newspapers are also indispensable. Such print publications provide regional perspectives, filling in coverage gaps that couldn't possibly be covered at the national level. Erie, Pennsylvania has a long and fascinating newspaper history. Erie was founded in 1795 and recognized as a borough in 1805, but the first consistently published newspaper wasn't circulated until 1808 when George Wyeth launched The Mirror. While it didn't last long — around two years — it was soon followed by the Northern Sentinel in 1812, which publisher R.J. Curtis refurbished as the Genius of the Lakes, the Phoenix, and then the Reflector over the subsequent decade. "For two or three years during the [War of 1812], I had a very good support, but afterward it was poor indeed," Curtis said, according to The History of Erie County by Laura G. Sanford. He explained that many readers were only able to pay with produce, so he had to take on a second job as a school teacher to continue printing. His only help was his sister and a single apprentice. By the 1820s, the publication had tried relocating to Mayville, New York, but soon shut down production. The first newspaper with longevity to be published in the city was the Erie Gazette, founded in 1820 by Joseph M. Sterrett. "The old Erie Gazette is recalled by our older people with much affection," wrote John Elmer Reed in 1925. "Mr. Sterrett was a man close to the people and succeeded in making his paper a member of the families into which it entered." 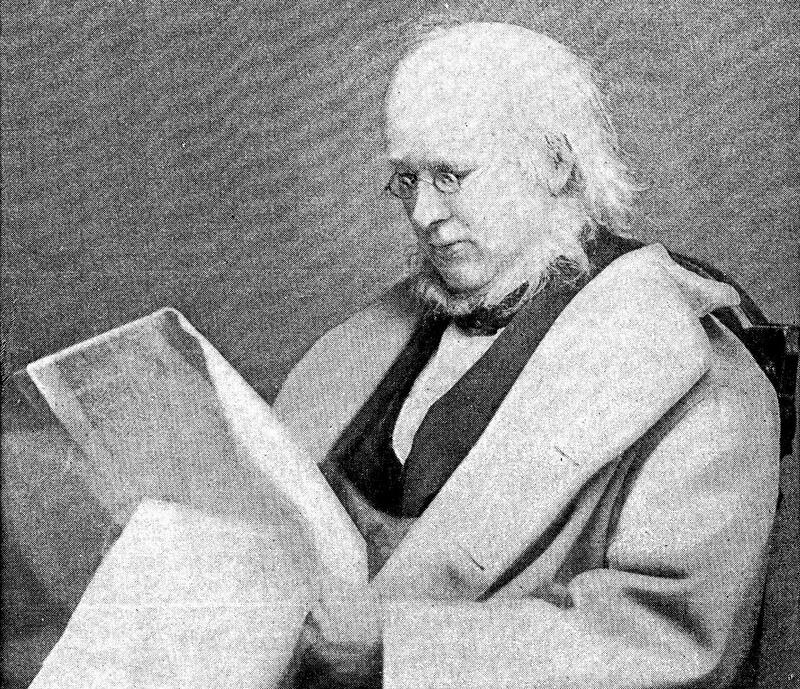 In 1830, the Gazette was home to a young journeyman named Horace Greeley, who would go on to become the famous newspaperman who founded the nationally-known and outspokenly abolitionist New York Tribune. According to James Parton's 1854 biography, Greeley said he did "the best he could" at the Erie Gazette, but he wasn't particularly happy with the pay of twelve dollars each month he received from Sterrett. Still, he had boarded with the Sterrett family for his short stint in Erie. Greeley wrote slowly and methodically, but constantly: seven days a week for seven months straight. When he wasn't writing, he was either walking along the lake, sailing across the bay to Presque Isle, or reading. It was in Erie, according to Parton, that Greeley became "absorbed in politics." "It is said, by one who worked beside him in Erie, that he could tell the name, post-office address, and something of the history and political leanings, of every member of Congress," Parton wrote. Greeley seemingly had little affection (or at least not much nostalgia) for his time in Erie — or its citizens. He later referred to Erie citizens who took on the railroads during the Erie Gauge Wars as "traitorous" and never disputed his biographer's description of Erie as being "the shabbiest and most broken-down looking large town." In 1830, the Erie Observer was launched in direct response to the Gazette. The Gazette was known for its Whig (and later Lincoln-era Republican) views and was hostile to the city's Masonic order, so the Observer was established as a Democratic paper by a group of Masons who supported the presidency of Andrew Jackson. The Erie Chronicle was started in 1840 as a Whig newspaper and merged to become The True American, becoming Erie's first openly abolitionist newspaper. It operated until 1861. The Dispatch was founded in Waterford in 1851 by Joseph S. M. Young, but soon relocated to the city in 1856 and became known as the Erie City Dispatch. It had earned a reputation for its criticism of the powerful railroad companies during and after the Erie Gauge Wars. "When the railroad war broke out, it took such a lively part on the side of the 'rippers,' or 'anti-railroad men,' that their leaders induced Mr. Young to remove his office to Erie," Benjamin Whitman explained in his 1896 historical reference book on Erie. Eventually, the Dispatch was purchased by the prominent Charles Hamot Strong and in the early 20th century it merged with the Erie Herald (founded in 1878 by two Erie High School teachers) to become the Erie Dispatch-Herald. In 1888, another publication was formed by nine printers in a small cellar on State Street: the Erie Daily Times. One of those printers, John Mead, soon bought out the others. Although he died in 1941, his wife and sons continued to run the publication. In 1957, they acquired the Erie Dispatch-Herald and they began printing the Erie Morning News along with their Daily Times. In 2000, the Morning News and Erie Daily Times merged to become our current Erie Times-News. It was still being operated by the family of original publisher John Mead. In 2016 though, the newspaper left the Mead family after nearly 130 years. It was purchased by New Media Investment Group and its holding company GateHouse Media, Inc. out of New York. According to their website, they now "publish 145 daily newspapers, 340 community publications and more than 570 local market websites." And then, of course, there's the Erie Reader. The Reader was founded in 2011 by Adam Welsh and Brian Graham as an independent, alternative newspaper that would emphasize not only news, but also Erie's arts and culture. This is by no means a comprehensive history of Erie's newspapers, of course, nor does it thoroughly explore the many mergers and changes of names that occurred throughout the decades. Each publication has its own unique history and there are many other publications worth mentioning and exploring: the Erie Express, the Daily Republican, Daily Bulletin, Sunday Graphic, Highland Light, Erie Advertiser, Star of Liberty, Sunday Globe, Argus, Constitution, Erie County Farm Bureau News, Erie County Law Journal, the socialist Labor Press, the populist People, the Catholic Lake Shore Visitor, and the numerous African American, German, Italian, and Portuguese newspapers distributed throughout the city. There are also the many county newspapers. Here in the present, these old newspapers provide a unique glimpse into the city's past — historical footprints that help us understand Erie's story. Today, just like then, newspapers continue to play an essential role in our city and region. In an age where so much information is at our fingertips, it is on us to ensure that these publications live on and that our region's rich history of local newspapers will continue. Whether it is the Erie Reader, Erie Times-News, Meadville Tribune, Erie Metropolitan Black Yellow Pages, Corry Journal, Edinboro News-Journal, Union City Today, West County News-Journal, Titusville Herald, or any of the local university and high school student-run newspapers, these publications are important pillars of truth and accountability for our region and our communities. "We have to uphold a free press," President Barack Obama said in 2014, "because in the end, lies and misinformation are no match for the truth." Support, read, and subscribe to your local newspapers. Share their articles online. Criticize the coverage when necessary. And maybe occasionally click on one of those ads. Or hey, as history demonstrates is clearly possible, maybe even start your own.